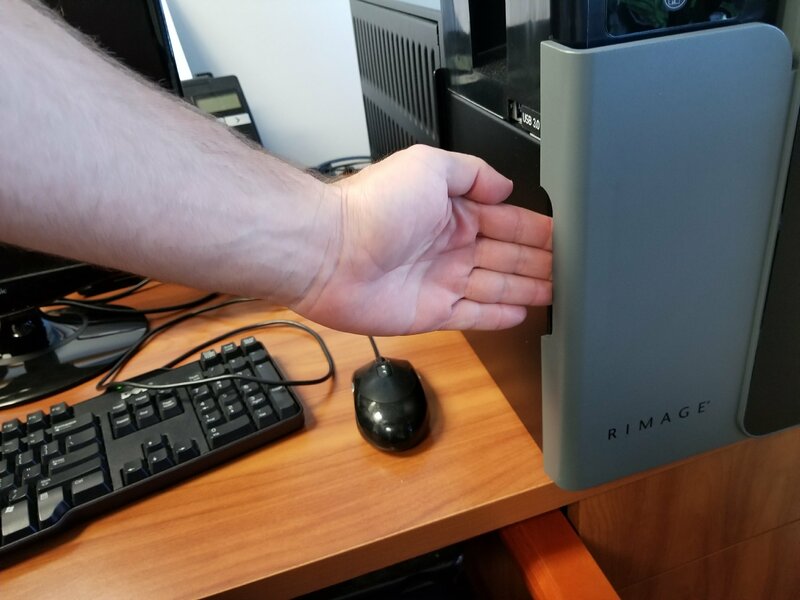 How do I swap out the Rimage 6000 hard drive? Step 1: Open the door to the machine. 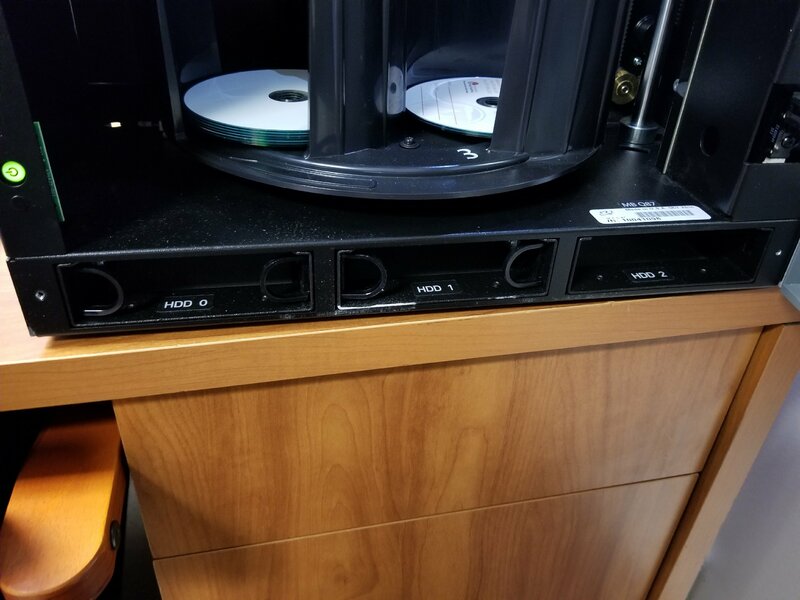 Step 2: The hard drives are located inside the machine at the bottom. 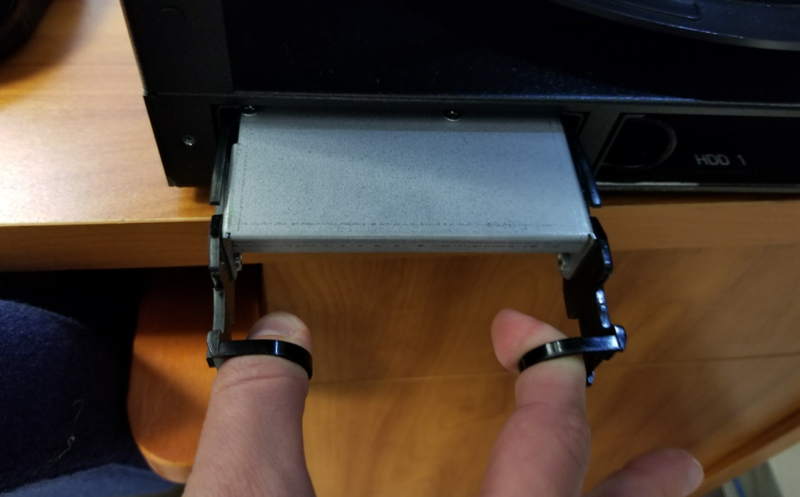 Step 3: Pull out the hard drive by placing two fingers inside the plastic brackets. Squeeze your fingers in and pull out the hard drive.